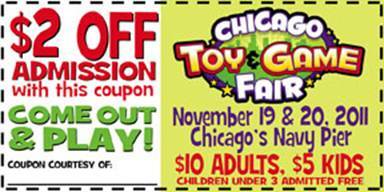 Print the coupon above to save $2 off admission or for a chance to win a family admission pass, leave me a comment below telling me about your child's favorite toy or game. 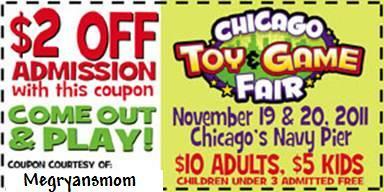 I have one pass to give away each week until the Fair. This giveaway ends on Friday November 11, 2011 and winner will be notified by email.